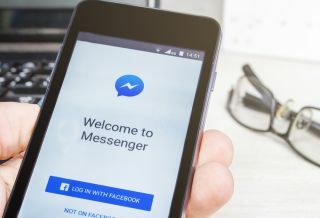 Facebook Messenger users will now be able to use the social network's AI assistant M in their chats. Facebook Messenger users in Australia, Canada, South Africa and the UK can now utilise the social network's AI assistant M in their chats. By using machine learning, M is able to scan the words used in conversations to recommend actions or services to users. For instance, the AI assistant will remind you that it is someone's birthday when you are chatting with them or suggest you add a sticker when telling someone good night. M can also suggest that you share your location, start a voice or video call or even save a video. In the US, M can even show third-party chat extensions that call upon bots from Delivery.com for food orders, Spotify for music and the Food Network for recipes. Currently Facebook Messenger has 1.2 billion monthly users and M will eventually become available to all of them. Earlier this summer, M for Spanish speakers was rolled out for users in the US, Mexico and Spain. M was revealed in 2015 when private beta trials began for a personal assistant aimed at helping Messenger users with small tasks throughout their day and it was hinted that the service would one day be able to make reservations at restaurants. However, it turns out that M is unable to do most of these tasks without help from a user though as the technology behind the AI assistant improves this may not always be the case. Facebook is working hard to develop its own AI and the technology developed by the social network could soon make its way into a number of devices with rumours circulating that a smart speaker and a laptop-sized device for video chat are currently being developed within its experimental Building 8.